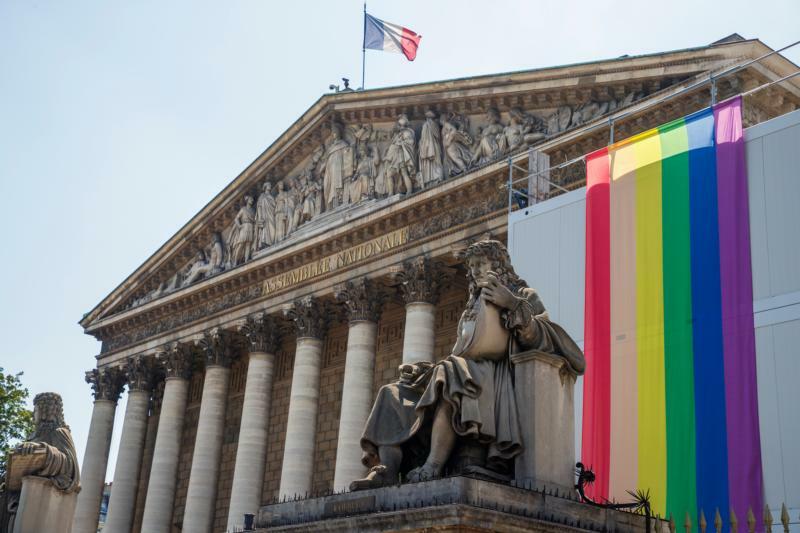 PARIS (CNS) — The French bishops said proposals to extend fertility treatments to lesbian couples and single women would harm society by removing fatherhood from the lives of children. “Such a drift would pose not only an anthropological but also a psychological and social problem,” the statement said. “Could we collectively accept that man is considered a mere supplier of genetic materials and that human procreation is thus akin to manufacturing?” it asked. The protection of the anonymity of sperm donors in any forthcoming reforms also would create an “unjust power” over children and adults distressed about their true origins, the statement continued, with the bishops suggesting that such an “injustice” should not be tolerated. Stable marriage between a man and a woman was the “optimal environment for procreation and the reception of a child,” the bishops argued, because it guaranteed the dignity of both children and adults. The document was written by Archbishop Pierre d’Ornellas of Rennes, the head of a working group on bioethics of the French bishops’ conference, with the help of legal advisers, but has been co-signed by all the French bishops.